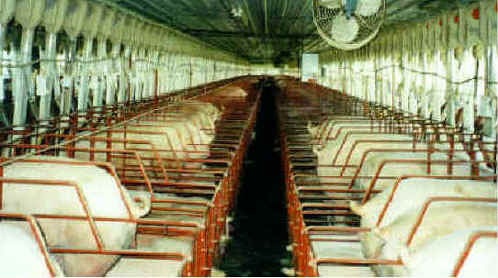 (Pig Exploitation - Gestation Crates - 08) This is a view of the rear of the gestation crates, which seem to go on and on in never-ending rows of suffering. The only way this suffering will end is if humans say "No!" to eating these animals and their children.